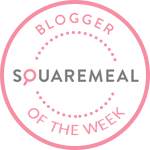 Emily's Recipes and Reviews | UK Food Blog | Leicestershire : an instagram masterclass for foodies. People who love to eat are always the best people. If they love to take a photograph and share it on their Instagram, ever better. I love hearing about new foodie discoveries, scrolling through my Instagram feed and imagining what the dishes taste like. If you've got this far, I imagine you do too. As part of the Highcross #FoodFest this Summer, I was invited to host an Instagram workshop for local foodies. With a supper club vibe, we enjoyed dining at Turtle Bay whilst I'd shared my best tips and tricks on photo editing, hashtags, social sharing and building your audience. What is delicious about this photo? Is it the contrast of colour, the gooey cheese, the beautiful cake decoration, an array of small plates together, a pretty cocktail? Does it fit into a square? Will it fit with the theme of your grid? Could you use the new carousel feature? Find the hook and let it be the focus of the image. What sort of snaps make you want to hit that heart button? Just in time for the starter platters, I went through my favourite editing and photography apps. I don't often use the built in filters of Instagram, which can give a sepia, vibrant or retro feel to your pictures. Instead I often use the brightness and contrast within the app, as well as structure tool, shadows and highlights. For any stray crumbs or advanced exposure options, the below apps are fantastic to play around with. Be inspiring and fun with your captions. Perhaps tag the restaurant, location or brand – they may ask to re-gram your snap ! You can use up to 30 hashtags in a post – be descriptive and look for popular ones about that topic (a number will come up as you type). Top tip: Copy your caption before you hit post. If you use more than 30 hashtags it will post as a blank. At least you can go back and edit! Oh, and the food went down rather well too. I ordered the Avocado, mango, carrot and butternut squash ribbon salad with crispy gem, sugar snap peas, beets, shaved coconut and rocket with a citrus lime dressing. It was topped with garlic & chilli pit prawns and crispy chilli squid - delish! Discover the full menu here. 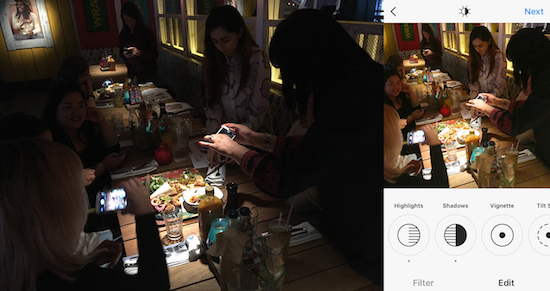 It was a really lovely group of likeminded people; camera rolls full of their dinner and amazing Leicester recommendations, who of course didn't mind waiting for others to get that Insta-snap! Thanks for coming guys - you were awesome! What are your top Insta tips? Perhaps you have an app I didn't mention or fun hashtag that you follow? Do you have any favourite Instagram accounts? This sounds like such a great event - and the food looks pretty yum too!